Meio desligado e mais do que atrasado. Faça o download das 27 faixas que compõem a coletânea de abril ou clique no nome da música que desejar ouvir. This band from La Plata usually cites British rock acts such as The Kinks, Blur and The Stone Roses as their main influences. However, this track from The Plasticos' new album, Kilómetros, is one of our favorites because of its grungy sound that reminds us of the new Argentine rock movement from the late 90s. You can listen to the album on Bandcamp. There are moments when all you want to do is kiss the guy who invented the internet. Such is the case when one Bandcamp tag after the other, we stumbled upon Dianas, a trio from the distant city of Perth. Dix is a dreamy drone-pop tune with all those floral notes typical of Scottish indie; kind of like what Camera Obscura might have sounded like on a hot summer's night in Western Australia. Sort of a sad waltz, 'Tudo em volta de mim vira um vão" is taken from Isaar's new album, Todo Calor (roughly translated as "All The Heat"). 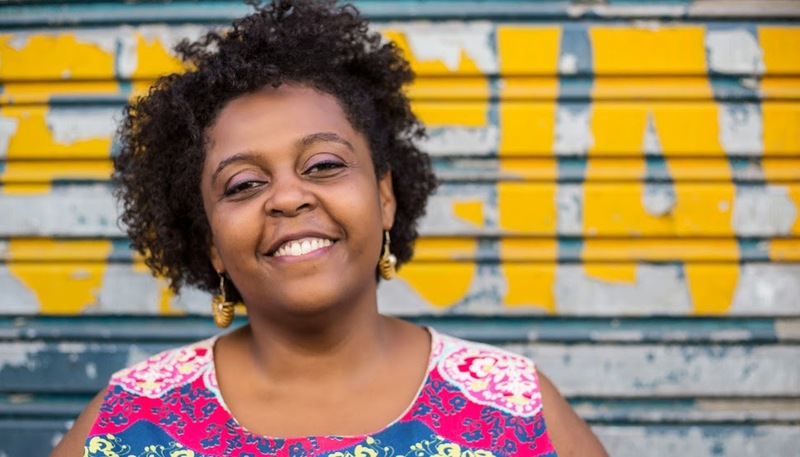 Originally from Recife, one of Brazil's most prolific cities, Isaar shows her strong influences of local culture such as frevo, maracatu and manguebeat, but also flirts with pop music and other contemporary artists like Siba and Orquestra Contemporânea de Olinda. Hybrid hip-hop rockers Zoo Legacy are from Ottawa but have a world-conquering sound. Blending indie-rock, R&B, hip-hop and pop, it's impossible to pinpoint which element is the band's focus, and that's exactly what they've intended. Lines blur and genres blend, but Zoo Legacy's gift will always be musical alchemy. Niño Cohete, a band from Concepción, packed Teatro La Cupula at Lollapalooza Chile in March. With an EP and a recently released debut album, Aves De Chile, they're conquering the country with their music. They define their style as "sylvan pop" and new single El Bosque has nice guitar arrangements and a very upbeat melody. We usually don't repeat artists on our MAP submissions, but with this one the team decided to make an exception. Both R.E.A.L.I.D.A.D. and Carolina Camacho have been featured before because they make unique music in their genres. For this track, the fury that fuels rock music and the fierce attitude of rap mix together to defend our people from corruption, softened by Carolina's voice over the chorus. Head to the Bandcamp link above to download Resurgir/Combates Necesarios, the latest EP from R.E.A.L.I.D.A.D. Radiohead's influence on modern music is enormous, but it's strange how little credit is given to Thom's solo work. The Eraser captivated the imagination of a generation of smart younglings in their bedrooms. Much like London's James Blake, Dorset's Douglas Dare climbed Harrowdown Hill and had the epiphany to use hints of light for shadow-play. It's little wonder this bloop-loving pianist has ended up on Erased Tapes, home to the likes of Nils Frahm and Ólafur Arnalds, who are set to release his debut album Whelm in May. d8p don't try to identify themselves by a niche or genre, but rather focus on creating a certain universal feeling, an atmosphere. Melancholic, longing, melodramatic, yet uplifting and danceable, d8p plays with the fine line between euphoria and sadness while also leaving room for surprises. Utilizing complex percussion, simple melodies and unconventional musical structures, d8p aims to take the listener to a place they find familiar yet full of new possibilities. Aiming to explore the function of songs as a fundamental necessity of musical expression, The Man From Managra - the new project of Coti K. - conjures up music with a thoroughly minimal feel and austere arrangements, using a modified bass and his voice both deftly and as core elements. Check out Praise The Lord, a gripping and subtly beautiful song, based on a motorik rhythm, repeated simple phrases and Σtella's unique contribution. Neil Adams' Extra Fox is one of several current side-projects from Dublin scene heroes The Cast Of Cheers, a smartly bristling bedroom electronica aside. Taking elements of his math-rock mainstay's choppy style, Adams' charmingly skittish beats and soulful melodies nod towards the neon lights of urban Japan. The man himself credits Com Truise and "that feeling like you're inside an 80s video game" with inspiring a new thought process. The album is available on a pay-what-you-want basis on Bandcamp. You could say that Happiness And Flour by the trio Flying Vaginas sounds nothing new, simply classic indie-rock with a long tradition: The Jesus And Mary Chain, Sonic Youth, Clean, Black Tambourine, you name it. Or, to quote some bands from the present: The Pains Of Being Pure At Heart, Crystal Stilts, Girls Names. What makes me particularly happy about this wonderful song is that Flying Vaginas know how to speak the international language really well, and it doesn't happen very often around here. Their great debut EP is also free to download via Bandcamp. One of the many projects involving Andre Camilleri, the only record ever made by Blue Star is a five-track EP recorded in 1998. Camilleri spent many years busking on the streets of Berlin and Valletta. While in Malta, Andre put together a five-piece band which included Ian Schranz and Mark Sansone from Beangrowers, resulting in a number of well-received gigs and a self-titled EP. Andre is now based in Australia, his output remains prolific and we've lost count of his numerous recordings. Leonardo Kin Ponce's interest in the paranormal was expressed in his music while in his previous bands Timmy & The Monsters and Ghostcatcher. Now he has been working on Ponce, a solo project based on pure Spanish vocals and some IDM elements. His first single El Muerto follows that line and it has been released with some remixes that emphasize the dark, daily aspects of one of the most fearful ideas of existence: death. Necronazis are a fixture in Puerto Rico's punk scene and although not as active in recent times, the band makes sure they play a few shows every year for their faithful fans. The group's different line-ups read as a genealogical tree of the local scene, including long-standing members Giancarlo Cervoni and Sergio Narváez, both former members of Dávila 666. To honor this seminal band, new independent label Discos Diaspora launch Antología on April 19, a limited edition tape compiling Necronazis' recorded output in its entirety. Cluj-based band Theory Of Mind has built up a large fanbase in just a few months. A dream-pop group with psychedelic and experimental influences, they have shaken the foundations of Romanian music - for good. Saram12saram had been teasing with alluring electronic tunes on SoundCloud a year before the release of the duo's debut EP. Raindrop, Cloud, Typhoon And The Sun finally came out at the end of 2013 and a few weeks ago it became available on vinyl. The title track puts the esoteric female vocals first, while the music produces an ambient dreamscape that leaves you wanting more. On their fantastic new single, As Long As It's You, The Deloreans find themselves crafting a slow driving tune with multiple small flourishes coloring the entire sound-space. The vocals are confident and overflowing with emotion as drum kicks and a grandiose chorus keep elevating the constantly evolving song.